Penney Kome is an award-winning journalist and author. Besides having published six books, her career encompasses twelve years writing a national column in Homemakers' Magazine, and four years writing a column for the Calgary Herald. She has served as editor of Womenspace.ca and contributing editor of the NeWest Review. 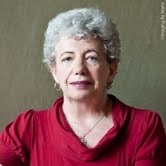 Her volunteer work includes many executive positions, including, most recently, Chair of The Writers Union of Canada. Among her awards are the Metro Toronto Women of Distinction Award and the Robertine Barry Prize for Feminist Journalism. She and her husband, Bob Pond, live in Calgary. Ish Theilheimer is founding Publisher of Straight Goods News, which he launched out of frustration with existing media and fascination with the possibilities of independent online journalism. Significant in his varied career has been work as a writer, editor, consultant, musician, welder, and hot dog vendor. He has been active in community and party politics at every level. In addition to his journalistic work, Ish is Producer of The Stone Fence Theatre, a professional theatre company dedicated to the Ottawa Valley and its economic and cultural development. He and his wife and partner, Kathy Eisner, live beside the Bonnechere River near Golden Lake in the upper Ottawa Valley. Michael Cowley-Owen has been with Straight Goods News since its inception, working with Ish to establish it online. He is actively involved in community development issues and, while bringing up his four children, he became committed to promoting the quality of life he found in rural living. In his spare time he runs several at-home businesses, and is attempting to really understand quantum mechanics, relativity, black holes and the BIG BANG, and their relevance, if any, to the Meaning of Life, if any. He regards himself as a nexialist*, working in the field of communication. He has lived in the little village of Maxville, ON (pop 850), with his wife Maryanne Kampouris, since 1985. Samantha Bayard is a young journalist living and working out of Ottawa. She has been a contributor to the Straight Goods News family of websites since 2009. She has been freelancing in the Ottawa region since graduating from the conjunctive University of Ottawa and Algonquin College Baccalaureate in Journalism program. Samantha contributes to newspapers such as the Kanata Kourier Standard and the Kichissippi Times, magazines such as Greenlife and the Ottawa Parenting Times and occasionally writes blogs for websites like Food Network Canada. She is an avid cyclist and lover of animals.